Bhavana joined Watsi on March 12th, 2013. 1,775 other people also joined Watsi on that day! 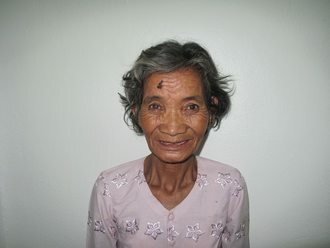 Bhavana's most recent donation traveled 8,800 miles to support Thorn, a woman from Cambodia, to fund cataract surgery. Bhavana has funded healthcare for 57 patients in 11 countries. Thorn is a 62-year-old rice farmer from Cambodia. 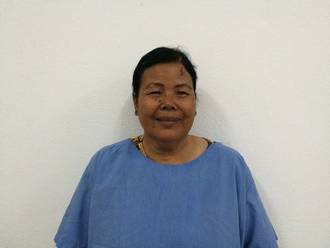 She enjoys watching Khmer TV dramas as well as looking after her seven grandchildren. Six months ago, Thorn developed a cataract in her left eye, causing her blurry vision, teary eyes, and photophobia. She has difficulty seeing things clearly, recognizing faces, and going anywhere outside. When Thorn learned about our medical partner, Children's Surgical Centre, she traveled for three and a half hours seeking treatment. On February 18, doctors will perform a small incision cataract surgery and an intraocular lens implant in her left eye. After recovery, she will be able to see clearly. Now, she needs help to fund this $211 procedure. 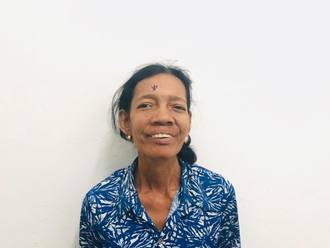 She says, "I hope that I will be able to see everything clearly so I am able to continue my work as a rice farmer and so I can look after my grandchildren." Mong is a baker from Cambodia. She has two daughters. She likes to read the news and watch Indian dramas on TV. Four years ago, Mong developed a cataract in each eye, causing her blurry vision, itchiness, tearing, and photophobia. She has difficulty seeing things clearly, recognizing faces, and going anywhere outside. When Mong learned about our medical partner, Children's Surgical Centre, she traveled for two hours seeking treatment. On November 1, doctors will perform a small incision cataract surgery and an intraocular lens implant in each eye. After recovery, she will be able to see clearly. Now, she needs help to fund this $398 procedure. She says, "I hope my eye surgery is successful so I can recognize the faces of my loved ones again." Kyi is a 38-year-old man from Burma. He lives with his sister's family in Kawkareik township, Karen state. He used to work as a chef in restaurant in Bangkok but returned to Burma after he got into a motorbike accident. Kyi underwent a colostomy, in which the end of the colon is brought through an opening in the abdominal wall. This surgery is often performed to bypass bowel malformations, but colostomies are usually temporary and may call for reversal. In Kyi's case, his colostomy requires reversal in order to restore bowel function and prevent future complications. Our medical partner, Burma Children Medical Fund, is requesting $1,500 to cover the cost of a reverse colostomy for Kyi. The surgery is scheduled to take place on August 20 and, once completed, will hopefully allow him to live more comfortably and confidently. Kea is a nun from Cambodia. She is married. She has three sons, four daughters, and 41 grandchildren. She likes to watch TV and listen to monks pray on the radio. A year ago, Kea developed a cataract in each eye, causing her blurred vision and photophobia. She has difficulty seeing things clearly, recognizing faces, and going anywhere outside. When Kea learned about our medical partner, Children's Surgical Centre, she traveled for two hours seeking treatment. On May 1, doctors will perform a phacoemulsification surgery and an intraocular lens implant in each eye. After recovery, she will be able to see clearly. Now, she needs help to fund this $398 procedure. She says, "I hope I can see clearly again so I easily learn more about Buddha and help monks at the pagoda." Teleza is a mother of three from Malawi. She lives with her husband on their small farm, and she spends her days caring for her home and her children. In her free time, Teleza likes to sit and enjoy quality time with her husband. Since January 2018, Teleza has been experiencing pain and abnormal bleeding. She has been diagnosed with cervical cancer. She needs to undergo a hysterectomy, a procedure in which surgeons will remove her uterus. Our medical partner, World Altering Medicine, is requesting $650 to fund Teleza's surgery. On April 3, she will undergo gynecological surgery at Nkhoma Hospital, our medical partner's care center. The requested money pays for supplies, medications, and seven nights of hospital stay. 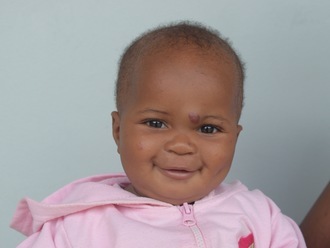 Teleza was thrilled and relieved to find out her surgery would be funded. She is looking forward to going home cancer-free and being able to care for her family and home again. She says, "Thank you Watsi." Moe is a 10-month-old baby boy who lives with his parents, uncle, grandmother, and older brother in Burma. His father used to work as a server in Bangkok, but he moved back home three months ago to help take care of Moe. Since Moe’s mother cannot work while she is looking after her two sons, they are forced to live off of their savings. Three months after Moe was born, his mother noticed that he had a bump on his left eyebrow. She took him to visit the doctor at Mae Tao Clinic, our medical partner's care center. He was sent to Mae Sot Hospital for further investigation. The doctor at the hospital diagnosed him with a cyst and scheduled him for a cyst removal surgery on April 10. Now, Moe's family needs help raising $1,500 to fund this procedure. “When he grows up, we want to send him to school and we will support him whatever he decides to become," says Moe's father. Mary is a milk vendor from Kenya. She is a mother of four. The family lives in their ancestral home in Kitale, Western Kenya. Mary has been diagnosed with breast cancer. Without treatment, the cancer may spread to other organs. A mastectomy, a surgery to remove breast tissue, has been suggested to rid her body of breast cancer and to prevent the cancer from metastasizing. Our medical partner, African Mission Healthcare Foundation, is requesting $816 to cover the cost of a mastectomy for Mary. The procedure is scheduled to take place on March 26. After treatment, Mary will hopefully return to a cancer-free life. Mary says, “I am confident that soon I will be treated and heal. I want to be there for my children." Bertha is a woman from Malawi. She lives with her daughter, and she helps care for the family's home and her grandchildren. When Bertha has time to relax, she likes to play with her grandchildren and talk with her daughter, Dorothy. Since November, Bertha has been experiencing pain, weakness, and abnormal bleeding. She has been diagnosed with cervical cancer. She needs to undergo a hysterectomy, a procedure in which surgeons will remove her uterus. Our medical partner, World Altering Medicine, is requesting $650 to fund Bertha's surgery. 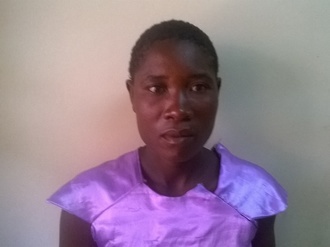 On January 11, she will undergo gynecological surgery at Nkhoma Hospital, our medical partner's care center. The requested money pays for supplies, medications, and seven nights of hospital stay. Bertha and her daugther were overjoyed to find out her surgery would be funded. Bertha is now hopeful for the future, and she looks forward to going home and watching her grandchildren grow. She says, "Thank you. I did not expect this help and it is a gift." Shany is a baby from Tanzania. She is cute and sweet. Shany’s father is a car mechanic, and her mother takes care of the family. The family lives in a rented house in Eastern region of Tanzania. Shany was born with a mild hemangioma on her face, and the condition continues to grow as Shany grows. If not treated, Shany may experience pain, and the hemangioma may worsen. Shany's family traveled to our medical partner's care center to receive treatment. On January 17, surgeons will remove the mass. Now, Shany's family needs help to raise $689 to fund this procedure. Shany’s mother says, “I thank God and all who contributed to Shany’s treatment. I promise that when Shany gets treated, she will attend school when she grows up."